Phillips Preiss worked with the Morris Township Planning Board to plan the redevelopment of the 147-acre former Honeywell International Inc. corporate campus. The work included amending the Land Use Plan Element of the Master Plan to create a new Office and Research Laboratory/Planned Unit Development (OL-40/PUD) designation. The PUD permits a mix of office, laboratory and townhouse uses subject to a series of development standards and contingent upon the submission of a general development plan. 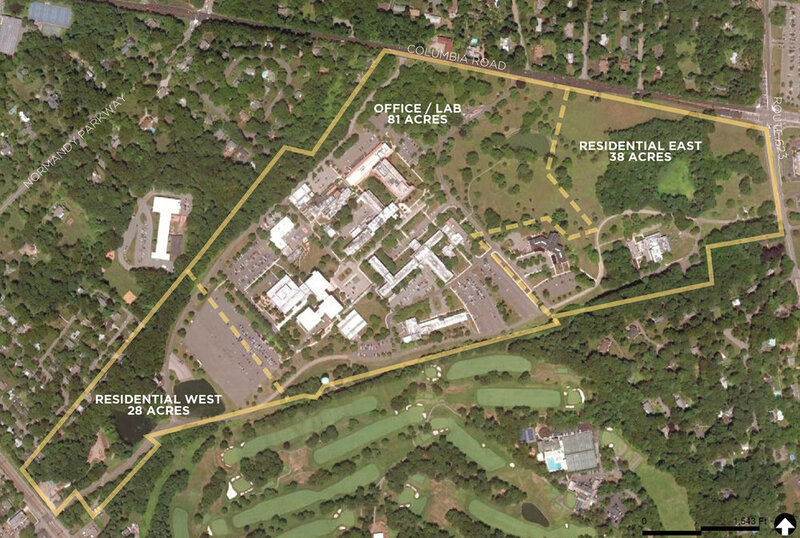 Phillips Preiss has provided planning services including fiscal and community impact analyses to Rockefeller Group with regard to its master planned redevelopment of a 268-acre former Exxon-Mobil corporate campus site in Florham Park known as The Green at Florham Park. The development is now home to the BASF North American Headquarters, Summit Medical Group, and The New York JETS . The Green at Florham Park is also the future home of AVE Florham Park, which provides 256 corporate suites, The Archer Hotel, a sophisticated 161-key boutique hotel, Summit Medical Group / MD Anderson Cancer Center, providing world class cancer care, and a residential community. In 2004, the NJMC adopted the Secaucus Transit Village Redevelopment Plan to encourage a transit-oriented mixed-use development in the area surrounding the Secaucus Junction train station. At the same time, a new interchange on the New Jersey Turnpike at Secaucus Junction greatly enhanced the value of the existing warehouse and manufacturing facilities in the area. After years of inactivity in the Station Square district, NJMC retained Phillips Preiss to analyze and recommend potential amendments to the Redevelopment Plan to stimulate redevelopment. The study concluded that a substantial increase in allowable residential densities will be necessary to provide sufficient economic incentive for existing industrial property owners to redevelop. Phillips Preiss was retained by the Township of Montclair to assess the potential impacts of a major downtown mixed-use project. Notably, the development was proposed to include housing for approximately 1,000 students from a nearby state university, as well as retail, office, hotel and/or residential components. The Phillips Preiss study analyzed aesthetic, community, economic and traffic impacts and outlined a variety of possible benefits and challenges, which helped lay the groundwork for a productive discussion between the applicant, the Township and the greater Montclair community. The student housing project did not move forward, due in part to concerns about potential impacts uncovered by Phillips Preiss' study. The Township of Montclair subsequently hired Phillips Preiss to prepare a redevelopment investigation for the study area, as well as a redevelopment plan. 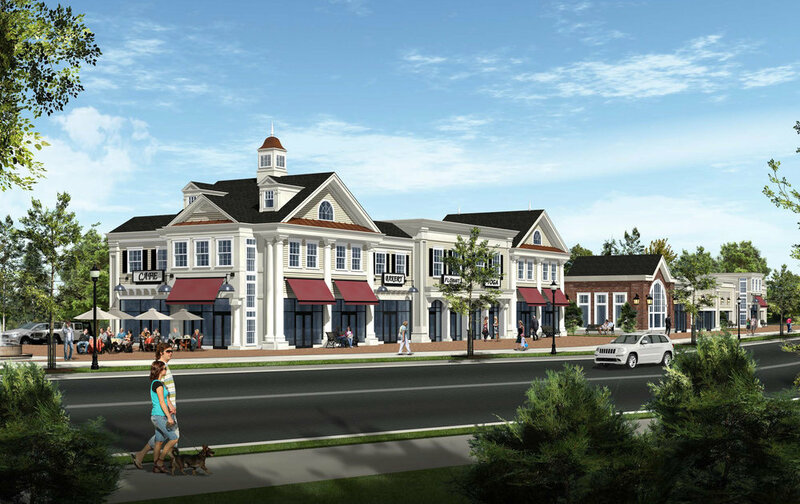 New mixed-use buildings face the Morristown Green. Upper floors are stepped back, per one of the design standards required in exchange for a height bonus. Courtyard and mid-block pedestrian connection behind the mixed-use building that faces the Morristown Green. The new LEED-accredited office building for the Morristown Parking Authority. With its City Council and Planning Board at odds over approval of a major downtown redevelopment project, Phillips Preiss brokered a compromise and brought the project to a close on behalf of the Town of Morristown. Many Town leaders and residents were alarmed by the height and bulk of the project, and were also unhappy with its original design. The proposed project involved the complete redevelopment of several key, underutilized blocks abutting the Town Green, with new mixed-use development. Phillips Preiss worked with the Town to impose a series of design standards, including LEED certification, as a condition of approval in exchange for allowing building heights in excess of the current zoning. The first phase of the project, New Jersey’s first LEED Platinum building, has been completed. The plan won four statewide awards: the New Jersey Chapter of the American Planning Association’s Outstanding Smart Growth Plan, the New Jersey Planning Officials Award for Innovative Design, Downtown New Jersey’s Excellence in Downtown Award and New Jersey Future’s Smart Growth Award for Creative Downtown Redevelopment Strategy. Redevelopment Area 5 is a 16-acre site between downtown Fort Lee and the George Washington Bridge approach ramps which has been vacant for 40 years. Phillips Preiss prepared a redevelopment plan for the site which permits 1,377 residential units, 175,000 square feet of retail shops and restaurants, a 175-room hotel, a Borough museum, an art-house movie theater, and publicly accessible open space. The $1 billion project is intended to rejuvenate the Borough’s struggling downtown, create jobs, provide tax revenue to the local and regional economies, and serve as an iconic gateway to Bergen County. 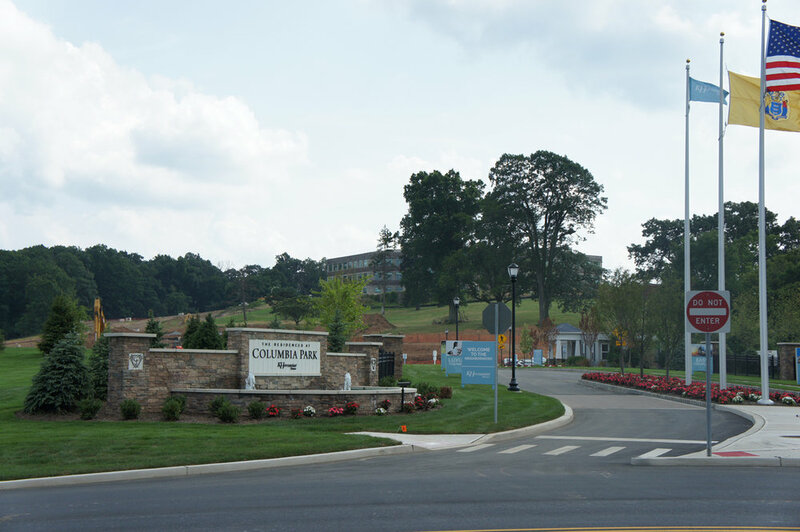 The Fort Lee Planning Board approved major site plan and subdivision applications for the project in the spring of 2012. Phillips Preiss reviewed the development proposals on behalf of the Planning Board. Phillips Preiss drafted the Montclair Center Gateway Redevelopment Plan to encourage a mixed-use development at the western edge of Montclair’s downtown which advances its sustainability and Smart Growth agenda. In early 2011, the Township formed a Redevelopment Subcommittee consisting of elected officials, business owners and other members of the Montclair community to work with Phillips Preiss on crafting the plan. A series of public meetings were held to gain input from the community on their vision for the site. A widely felt aspiration to attract a hotel to downtown Montclair, which could serve its cultural arts institutions, businesses and local residents, resulted in a density bonus provision in the plan. In fulfillment of Montclair Township’s environmental sustainability agenda, the project requires a minimum level of LEED certification, which must include on-site renewable energy facilities (i.e., roof-mounted solar panels), green roof areas and public transportation access (i.e., shuttles to train stations). Since the adoption of the plan, the Township has designated Pinnacle Companies as the redeveloper. Pinnacle and the Township are currently moving forward on the first phase of the project. View of new open space framed by townhouses. Special attention paid to making front and rear facades of townhouses both pedestrian-friendly. View of the mixed-use retail buildings and public plaza. Rendering by Zampolin Architects. Design guidelines and redevelopment plan for a mixed-use infill project. Street-facing retail with apartments overhead, and to the rear, a series of townhouses flanking a new public open space. The guidelines focused on ensuring pedestrian connectivity, active ground-floor uses, and human-scaled architecture.